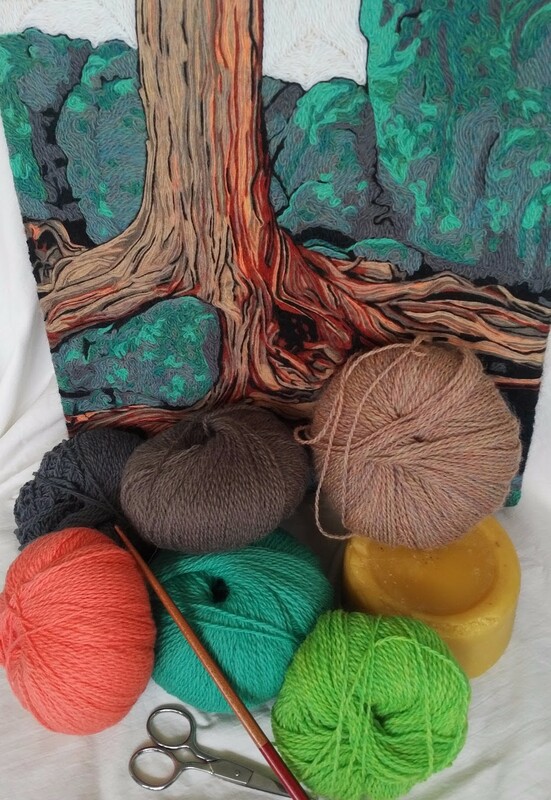 Yarn Painting Workshop at the Woodstock Fleece Festival 2017! Course registration is open for the Woodstock Fleece Festival 2017 and we are so excited to be offering a workshop this year called Yarn Painting - Creating Natural Works of Art with Beeswax and Wool. The festival is on October 14th at the Woodstock Fair Grounds and features all things fleece from shearing to weaving. What a great fall adventure! With August in view, I am putting the final touches on The Harrison Park series to be shown in my first 'official' solo exhibition titled Transcending - Works in Wool and Wax, being mounted in the Rotunda Gallery in Kitchener City Hall for the month of August. Overall, however, this has been a valuable experience in so many ways and I am pleased with the pieces that have resulted from it. I am also bursting with new ideas that have piled up in my sketchbook waiting for attention. Soon, my pretties, soon. We had a fantastic time, as usual, at the yarn painting workshop at the St. Jacobs Mennonite Church during the Waterloo Region and Beyond! 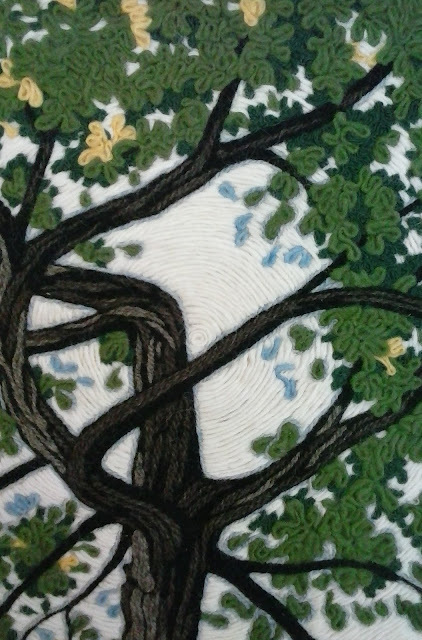 Quilt and Fibre Art Festival this year. I appreciate so much the work of the committee members to organize the workshops and create a magnificent display of quilts in the church. Our workshop discussions were colourful and the group became my best spokespeople by the end! Special thanks to Kate, who not only sent me an image of her evocative finished piece 'Emergence', but also was kind enough to gift me an extra heating gun for my artistic pursuits. Thank you, Kate! Also a special hello to Amelia, who impressed us all with her humour and independence, keeping her 80 plus years young and still trying new things. Happy summer, folks, and keeping Amelia's adventurous spirit in mind, I hope this summer finds you trying something new!